September 26, 2018, RegitzMauck Press Release. 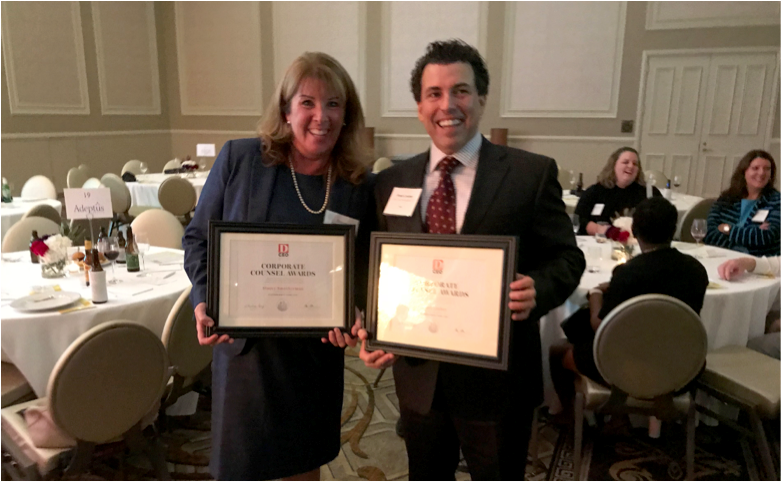 Stacey Smotherman, General Counsel of Excentus, and Fred Loeber, General Counsel of One Technologies, were honored at the D CEO Corporate Counsel Awards event on September 25, 2018. Each was a Finalist for the Outstanding General Counsel Award. Of course, RegitzMauck has known all along how outstanding Fred and Stacey are. The unparalleled wisdom exhibited in their selection of outside counsel, particularly with respect to intellectual property and cybersecurity, is a dead giveaway. To the surprise of no one, the Excentus and One Technologies teams were out in full force to support the leaders of their legal departments, and a great time was had by all. It’s a daily pleasure for Mike and Dustin to practice law with such talented legal teams.